Kamppi shopping center in Helsinki’s city center have unwanted visitors. Cockroaches has been found in background areas of fashion stores. American popstar Britney Spears launches a new lingerie and sleepwear collection in collaboration with Danish Change. The swedish e-fashion gazelle Stayhard.se has a new owner, The Ellos Group. Ellos buys 70 procent of the company from founder Joakim Naumburg. On Friday, Åhlens opens the newly renovated department store in Halmstad. A new concept, new interior, new products and a new café, Café Å lait is introduced to Halmstad. Indiska’s first german store will open in Hamburg in November. This will also be store number 100 for the the family owned company. H&M Home expands further in Sweden. The fifth store with a special Home-profile opens next spring at Erikslund Shopping Center in Västerås. Nacka Forum invests in e-commerce stores. 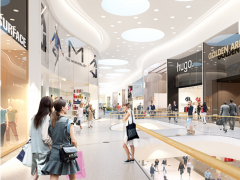 In summer and autumn, Nacka Forum will accommodate temporary shops for e-commerce. The Appelqvist family sells GinaTricot to Nordic Capital. New CEO will be Göran Bille from Lindex. Skärholmen Centre south of Stockholm increased sales by nine percent this spring. Now more boutiques and brands are about to open. The former H&M global brand director and Esprit brand manager Jörgen Andersson becomes head of global marketing at Japanese clothing chain Uniqlo .